This afternoon, my daughter Naomi requested that we make a chocolate cake. Oh, no, not chocolate… no one in this house likes chocolate. Not one bit. And of course, there is no love of baking around these parts, either. So, we went to work creating a new cake recipe. We combined our mutual love of Nutella and dark chocolate with healthy, fiber rich applesauce and beans (Shhh! No need to tell family and friends this cake is healthful). Have no fear: you won’t taste anything but cocoa goodness in this rich, mousse-like cake. The best part? The dark chocolate frosting takes less than 30 seconds to prepare and spread. No pudge in this fudge. A Rich, decadent, chocolatey – and healthy – treat. 1.) Pre-heat oven to 350 degrees F and lightly grease a small round or rectangle cake pan of your choice. I used 2.2 quart, 8×12 inch glass baking dish. Next combine all ingredients except for the chocolate and Nutella in a food processor. Process for a several minutes until very smooth and there are no visible lumps. 2.) 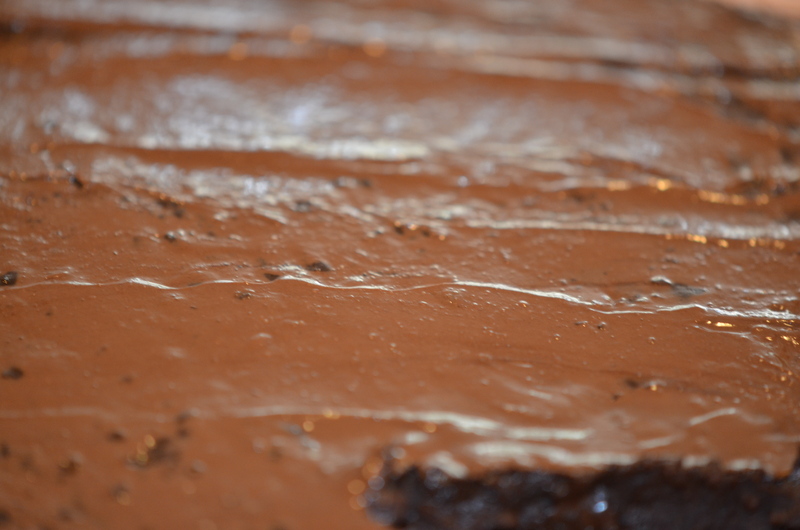 Pour half the batter into the prepared cake pan and sprinkle evenly with 1/3 cup of the chocolate. Then, pour the remaining batter into the pan and sprinkle evenly with the last of the chopped chocolate. Bake for 15-18 minutes, just until set and a toothpick inserted two inches from the side of the pan comes out clean. Do not over-bake. 3.) As soon as the hot pan comes out of the oven, the chocolate on top will be melted; spread the chocolate immediately over the cake with a small butter knife. Then, using the same knife, spread the warm Nutella over the cake; it will blend with the melted chocolate to make a delicious “mock ganache.” Allow the cake to cool slightly (if you can wait!). Enjoy! ©Shanna Koenigsdorf Ward, shannaward.com (2013), unauthorized use and/or duplication of this material without expressed and written permission from this blog’s author, Shanna Koenigsdorf Ward, and/or owner is strictly and completely prohibited. 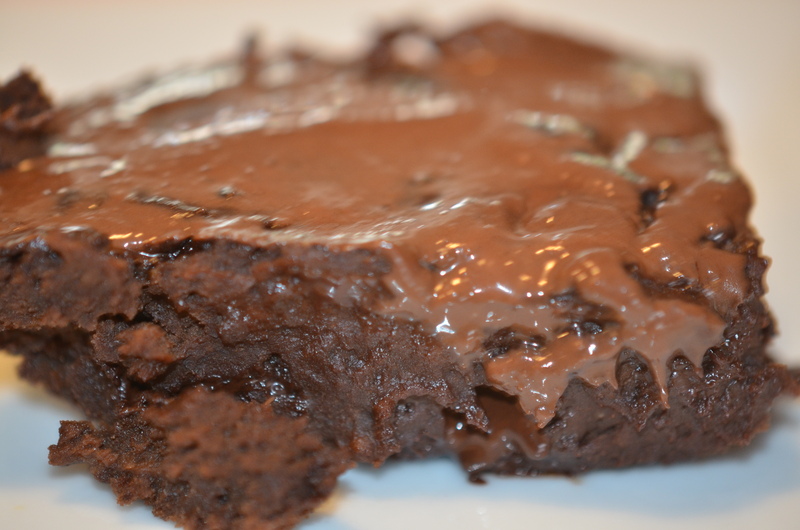 Posted in Gluten-Free, Healthy + Sweet Treats, RecipesTagged Chocolate, Chocolate cake, Chocolate chip, Gluten-free diet, Healthy, Nutella, RecipeBookmark the permalink. That photo is CRAAAAAZY!!! Yum ……! Thank you for the compliment, Andie. I appreciate you stopping by! Fish on Lentils: An elegant meal, Fast!